If you are familiar with the mirror aluminum, you may know that the mirror finish anodized aluminum sheet is the best product nowadays. The finish mirror sheet is made by polished, it is more bright and beautiful than anodized mirror sheet, but the surface is easy to get hurt. Anodizing is equivalent to protection of the finish surface. Generally, the bright surface will be better which is polished first and then through oxidation effect. If the mirror sheet is oxidized, it can have different colors, and it is not easy to get hurt. After anodizing, the performance is stronger, not easily to be damaged, produced product has higher degree of quality. How to distinguish the mirror finish anodized aluminum sheet from the ordinary mirror finish aluminum sheet? There are many methods, such as open the protective film on the surface, then touch the sheet surface to see whether there is perspiration, and then wipe it with the paper to see the surface situation, if there is no trace left, it is anodized, and there is fingerprints left, and it is polished mirror sheet. There is another way, to bend the aluminum plate beside the ear, listen to the specific sound, if there is a slight break sound, then the it is anodized, and the ordinary finish mirror sheet can not have this sound. Another approach is to bend the product 90 degrees, the product will have a slight white color, because there will be white on the anodized film in the case of burst. These three methods are still relatively simple, it is relatively easy to distinguish the anodized mirror aluminum sheet and polished mirror aluminum. 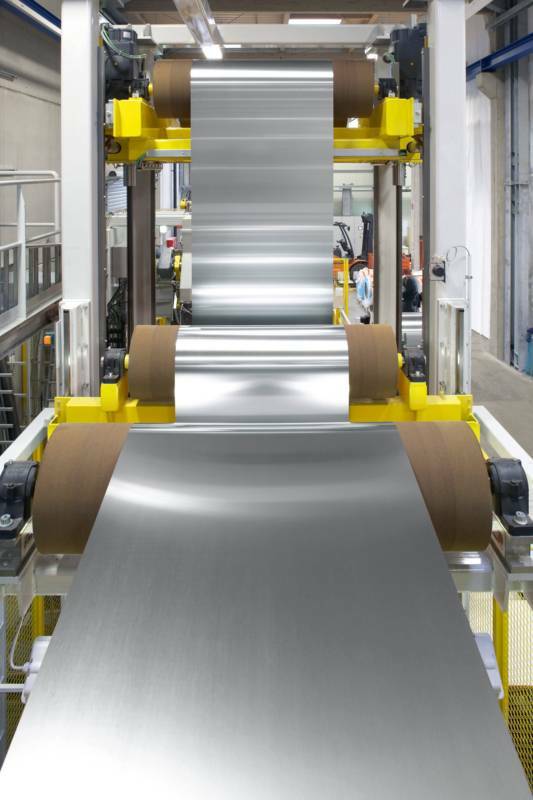 RE: What is the mirror finish anodized aluminum sheet? The mirror finish aluminum sheets are applied to the lamps and lanterns in the early age, especially commercial lighting, such as grille lamp, bracket lamp, outdoor lamp, floodlight, spotlight, aquarium lamp, etc. The mirror finish anodized aluminum sheet price on the market is related to the surface quality and reflectivity. The main role of mirror finish anodized aluminum sheet inside the lamps and lanterns are as reflector, usually called reflectors. Reflectors play a role in the lamps and lanterns is very crucial, can increase the light efficiency more than 60%. The mirror finish anodized aluminum sheet is a kind of high reflection energy saving material, mainly used in high-efficiency fluorescent grating lamps. This alloy of mirror finish anodized aluminum sheet are 1060, 1070, 1100 and 3003, the product has the high reflection, the high spectrum choice performance superiority. Anodizing is equivalent to the protection of mirror polishing, generally, the effect of anodizing will be better after polishing the bright surface, and there are different colors to choose in the anodizing process, and it is not easy to scratch to protect the mirror finish aluminum sheet surface.